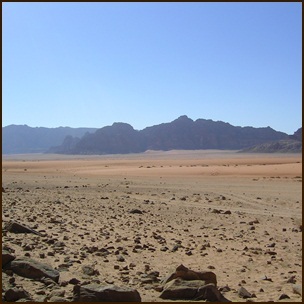 This tour starts from Wadi Rum , and you will set out with your Bedouin hiking guide to the Lawrence Spring, and then to the Red Sand Dunes where you can climb up the dunes while your guide prepares lunch. You can rest or explore for about an hour. Then you will go to the Um Ishrin area where you will meet the jeep with your luggage. Your guide will prepare a bedouin dinner and bedouin tea and you will spend this first night under the stars. The second day after the breakfast you and your guide will begin by hiking to the Burrah Canyon. In the middle of the canyon you will stop for lunch and relax for about an hour. After that you will hike to the Lawrence House. Here you will meet the jeep with your luggage, your guide will prepare the bedouin dinner and bedouin tea and you will sleep the second night under the stars. The third day after breakfast you will hike to the Khazali Canyon where you can walk inside to see the ancient inscriptions. You will then go to the Little Bridge where you can climb for a fantastic view of the desert and a great photo opportunity. After that your guide will choose a nice place for lunch and you can relax for one hour. After the lunch you will go to the base of the Burdah Rock Bridge. Here you will meet the jeep with your luggage, your guide will make dinner, and you will spend the night under the stars. The 4th day, after breakfast, you and your guide will hike to Um Frouth Rock Bridge. You can climb while the guide makes your lunch, and then you can take a break and relax for one hour. After lunch you will go to the White Desert and spend the night there. The jeep will come with your luggage, and as always the guide will prepare a bedouin dinner with bedouin tea and afterwards you will sleep under the stars. The 5th day you will continue hiking in the White Desert. In the middle of the day you will stop to have lunch and relax for one hour. After the lunch you will start hiking from the White Desert to the sunset place where you will meet the jeep with your luggage. Here you will have bedouin dinner with bedouin tea and sleep under the stars. On the 6th day after the breakfast we drive you back to Wadi Rum village by jeep.